This popular club meets in Stilton Pavilion every Monday and Tuesday evening and attracts players of all ages and all abilities, from ‘just for fun’ to serious competition. Financial support from Sport England has enabled the club to offer six tables (one of tournament quality) and to provide professionally-trained coaching. Plenty of scope for ambitious players! The club is open to everyone from 12 years of age. For those with free time during the day, or who work unsociable hours, the club also offers Monday afternoon sessions, which have attracted a thriving and welcoming group of players. An after-school club for years 5 and 6 is planned and free ‘taster’ sessions with coaching are available. 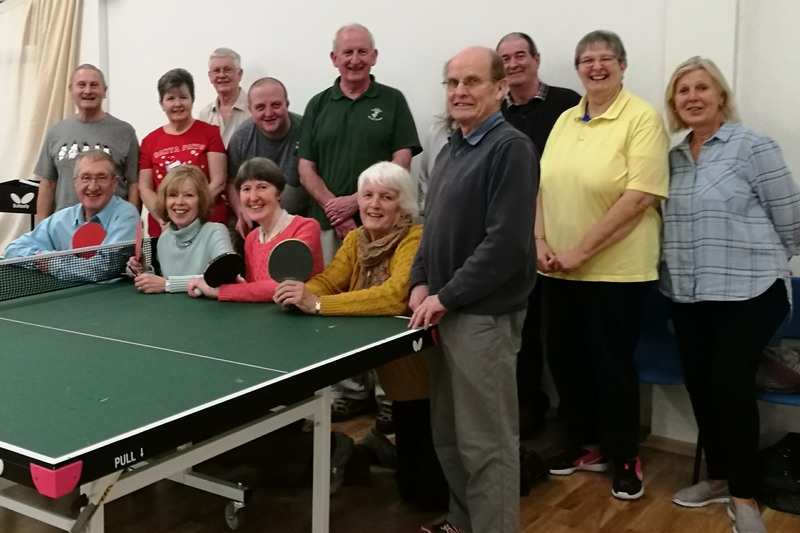 For more information about the Stilton Table Tennis Club, please contact Steve Ambler on (01733) 242156 or email to stiltontabletennis@gmail.com. Stilton Table Tennis Club is a Table Tennis England PREMIER CLUB - Registration Number 2128. It has adopted the Safeguarding Policies of Table Tennis England.